York Lodge Care home is a large, beautiful detached Victorian house set within its own mature gardens, on a lovely tree-lined road in the Trafford area of South Manchester. We are conveniently situated in the heart of the Urmston community, on the periphery of the town center. 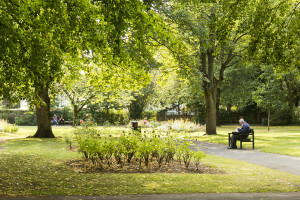 In the York Lodge surrounding area there are three parks within a two-minute stroll, and we are very close to the town library, shops, supermarkets, cafes, the local market, GP surgeries and many other amenities. The Trafford Centre is a short drive away. We are within a twenty minute drive of two National Trust properties, Dunham Massey and Tatton Park. There are excellent transport links by road, and we are well-served by buses and trains. 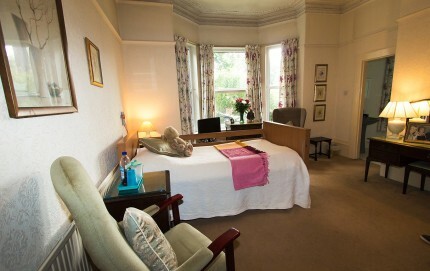 York Lodge provides all the space, comfort, style and character you would expect from a large property of this period. There are twenty comfortable bedrooms in York Lodge, each well-appointed and spacious and with its own en-suite facilities. 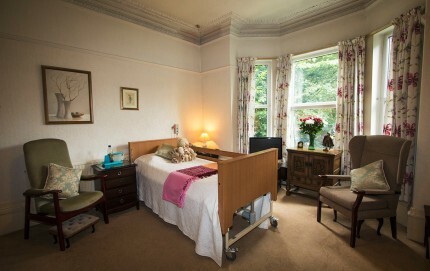 All of the bedrooms in York Lodge have their own telephone point, television aerial point, wireless internet access and nurse call system. Incoming personal calls can be directed to individual rooms if you wish. York Lodge is your home from home, and we encourage you to personalise your room by bringing your possessions or furniture, to help make you more comfortable and your surrounding seem more familiar. 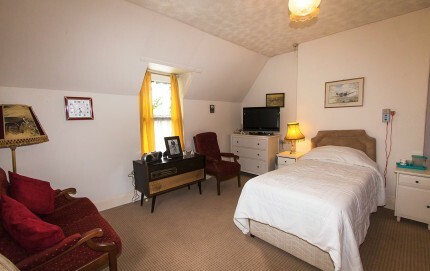 We can offer double rooms for couples or individuals wishing to share. We place the rights of our elderly residents at the forefront of our philosophy of care and our primary aim is always to provide a caring environment. We take a person-centered approach to promote and advance these rights in all aspects of the environment and the services we provide, and we encourage our residents to exercise their rights to the full. We care very much about residents’ happiness, well-being, security and personal fulfillment. We respect absolutely the right to choice, independence, dignity and privacy. Everything we do is driven by these principles. Every member of the management team and care team is here to promote our elderly residents’ physical, mental and emotional wellbeing. 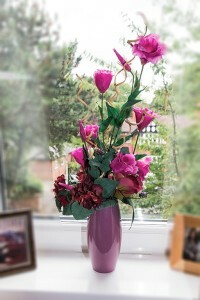 Being a small family run retirement home we are able to offer our elderly residents a high level of personal attention. Every resident has a dedicated ‘key carer’, as well as a personal care plan. Members of our care team all live locally and the majority have been with us for many years; thus residents are cared for by familiar people they know and trust. We take time to listen to requests and preferences regarding every aspect of life at York Lodge retirement home, such as dietary needs and choices, when and where meals are served, preferred times of waking and going to bed, hobbies and activities, and so on. In addition to the key carer, a member of the management team is always available in person or by telephone to talk to family members about any aspect of their relative’s care. Our secure biometric entry system allows unrestricted visiting for authorised family and friends. Refreshments are available at all times, and visitors are welcome to join us for a meal. We believe we have created a caring environment where everyone’s views are important. 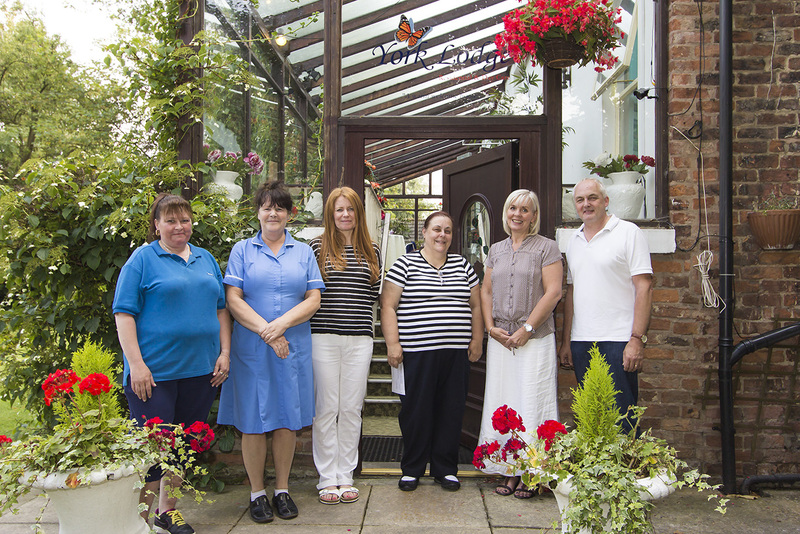 York Lodge is a family-run care home. We opened in 1986, and have been at the heart of the Urmston community in the Trafford area ever since. 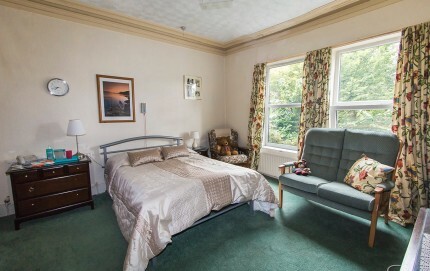 We converted and refurbished the care home ourselves specifically to provide the highest standards of residential care. We are not part of a large, impersonal organisation, and so you can be assured of the family’s personal attention and care on a daily basis. Every member of the management team and care team is here to promote our residents’ physical, mental and emotional wellbeing. Being a small family run retirement home we are able to offer a high level of personal attention. Every resident has a dedicated ‘key carer’, as well as a personal care plan. Members of our care team all live locally and the majority have been with us for many years; thus residents are cared for by familiar people they know and trust. We only employ staff who demostrate high standards, who genuinely care and who take a personal approach – just as we do ourselves.